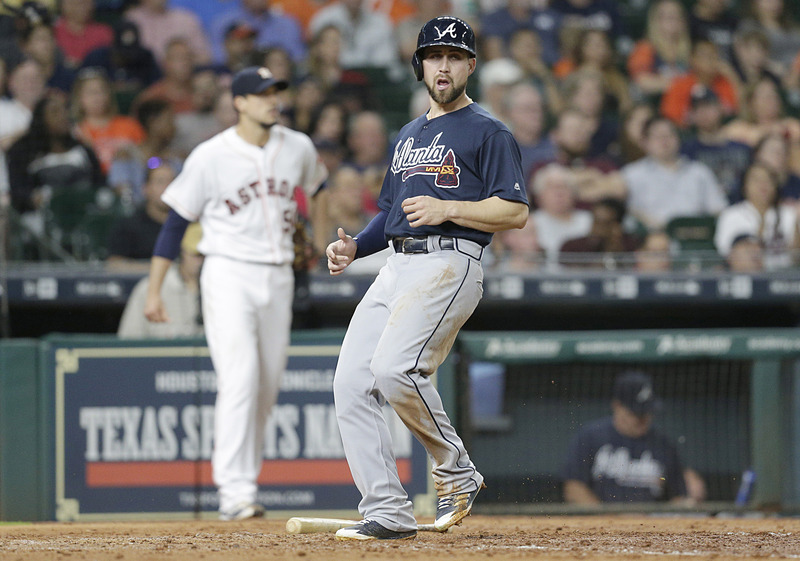 Losers of five of seven after splitting a pair in Arlington, the scuffling Mets visit Atlanta’s new ballpark for the second time this season to play a four-game weekend set that includes a split-admission twin-bill on Saturday. Owners of the second-worst earned run average in the majors, a once-promising set of arms that has drawn recent comparisons to the dreadful 1962 staff hopes to get a much-needed boost from two major reinforcements in Steven Matz and Seth Lugo, both set to be activated from the disabled list to face the Mets’ long-time division rivals. The Braves split four with the woeful Phillies, winning the final two games behind a 14-run outburst on Wednesday night and a masterful performance by ex-Met R.A. Dickey in the series finale. Things do not get any easier for New York following this series, as they’re set to play 14 straight against opponents who were in the postseason last year. Friday: Mostly clear with a low of 64F. Saturday (Game 1): Mostly sunny with a high of 84F. Winds south at 5-10 mph. Saturday (Game 2): Early clouds with a low of 66F. Sunday: Mostly sunny with a high of 87F. Windows southeast at 5-10 mph. After an encouraging start in Pittsburgh, Harvey faced the Bucs again five days later at home and was charged with six runs in five-plus frames, walking four. Pirates’ starter Gerrit Cole fared even worse, but another poor performance by the New York bullpen led to a 12-7 loss. The historically reliable Teheran has been hit-or-miss this year, winning his most recent outing despite allowing seven runs on 11 hits over five innings on Sunday in Cincinnati. The two-time All-Star is 8-4 with a 2.62 ERA in 18 career appearances (17 starts) against the Mets. In three starts since rejoining the rotation, Gsellman is 2-0 with a 2.95 ERA and has held opponents to a .235 batting average. The 23-year-old rookie last pitched on Saturday against Pittsburgh, earning the win behind 5.1 innings of two-run ball. Expected to be a key cog in a strong opening day rotation, Matz was shelved with elbow inflammation during the final days of spring training and is finally ready to make his season debut. The Long Island native made four rehab starts over the past few weeks, allowing 11 runs in 16.1 innings. Matz underwent offseason surgery to remove a bone spur from the same elbow, although he believes this latest setback was not related. Also taking the hill for the first time this season, Lugo is still dealing with a partial tear in the UCL of his right elbow, but has rehabbed since the original diagnosis and now feels that he’s able to pitch in a big league game without any restrictions. The threat of surgery still remains a possibility, however. Lugo started three games for Puerto Rico in the World Baseball Classic, finishing with a 2-1 record and a 4.20 ERA, striking out 12 in 15 innings. Featuring a dazzling curveball, the tall right-hander played an important role in the club’s path to the title game, but was hit hard in the loss to Team USA. After spending the entirety of his eight-year career with St. Louis, Garcia has been impressive in his first year with Atlanta despite a losing record. The Mexican-born southpaw suffered a hard luck loss on Tuesday against the Phillies, charged with three runs in 7.2 effective innings. Garcia will be attempting to notch his fifth straight quality start. These teams last faced off May 1-3 at SunTrust Park, with New York taking two out of three behind an offensive onslaught that included 16 runs in the series finale against Bartolo Colon and a beleaguered Braves bullpen. Mets: 2B Neil Walker (stiff knee) sat out Wednesday night’s win over Texas but is expected to be available on Friday. LF Yoenis Cespedes (left hamstring strain, right quad soreness) played for the first time since injuring his quad on May 26 in a rehab game. The Cuban slugger manned left field for eight innings on Thursday night in Lakeland for Class-A St.Lucie, going 0-for-4 at the plate. Braves: New York will not face Colon this weekend, as the former Flushing favorite was placed on the 10-day disabled list Tuesday with a left oblique strain. The portly veteran has struggled mightily this season to the tune of a 7.78 ERA and -1.9 WARP in twelve starts. 3B Adonis Garcia (sprained left ring finger) was also added to the DL on Wednesday. Scott Orgera has been a sportswriter, datacaster and stringer covering multiple leagues including MLB and the NFL for over two decades. He has worked over a thousand regular season games and events as well as a Super Bowl, several World Series, two MLB All-Star games and the NFL Draft. In addition to Baseball Prospectus, Scott also provides coverage for the Associated Press, Forbes, MLB.com, STATS LLC and Sports Press Service on a regular basis. His work has also appeared in Baseball America, as well as on The Hardball Times and Fangraphs. He is a member of the BBWAA and can be reached on Twitter @ScottOrgeraNYC, on Instagram @ScottOrgera or via scottorgera.com.